Friday Favorites: Where Are You Spring!? Happy Friday friends! Can you all believe that it is already Easter this weekend? And not only that, but it is APRIL in a few days! It really doesn’t feel like it, but I blame the weather. Are you all sick of hearing me complain about the weather yet? 😉 If you are, it’s okay. I am sick of me complaining about the weather too. I just need some sunshine on my skin, and SOON! On a positive note, we are looking forward to lots of family time this weekend to celebrate Easter! So before we enjoy our balmy 23 degree weather today, let’s hop into this week’s favorites! 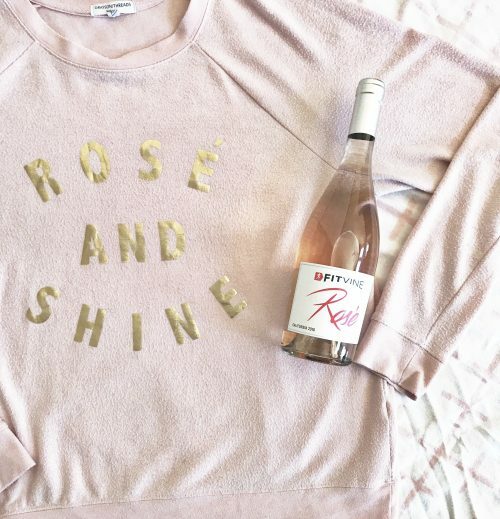 Raise your hand if wine is your jam? If we were sitting in a room full of toddler moms, I imagine every single hand would have just immediately shot into the air. I LOVE a glass of wine once my kids have gone to bed. I am also trying to be healthy, and go figure, wine has lots of calories. So when an old friend mentioned FitVine Wine to me, I was all over it. An average glass of their wine has 90-95 calories (versus about 120-150 in normal wines). They also have less sugar, less sulfites, and no additives. I will sing the praises of these wines from the mountain tops, because while I am on a mission to lose a few pounds and get in better shape, I am IN LOVE with finding a wine that will still work with my lifestyle! 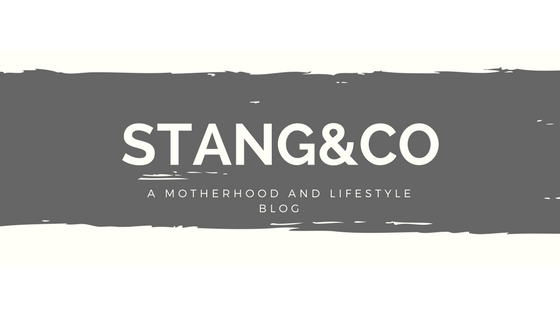 If you haven’t been following along with me long, you may not know that essential oils are a regular thing in our house. We use them for cleaning, for health and wellness, and for relaxation. 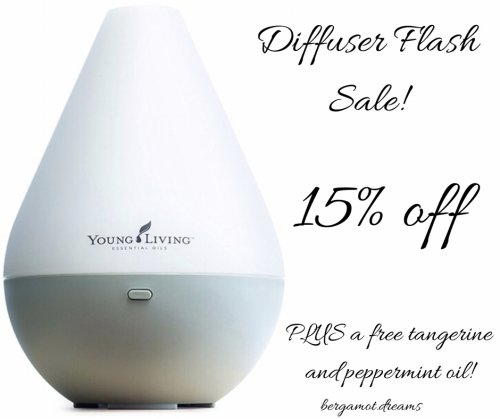 And through midnight on March 31st, you can snag a Dewdrop Diffuser PLUS two free oils for 15% off! This is a fabulous deal, and offers like this don’t happen often. If you have thought about trying out oils, this is a perfect way to grab a diffuser with a few oils without having to invest in a starter kit. I am also offering $25 back to anyone who enrolls with a kit by the end of the month. So, if you purchase a premium starter kit, and add a second diffuser (because I promise, your kids will fight over who gets it in their room at night), you are able to snag the second diffuser for less than $30! You can enroll here, or shoot me an e-mail/comment with any questions! Target is running a whole bunch of BOGO 50% off sales through Saturday! I have been majorly slacking in my shoe game, and knew I could use a few new options for work, so I snagged these booties and these flat loafers. I am so excited to have a pair of white shoes! The color and velvet detail on these is just DARLING, and I am an absolute sucker for anything sparkly, so these sandals are a MUST for summer. We didn’t get any rain this week, but we did have a day that got up to 49 degrees (all of the praise hands!) and it was sunny and just gorgeous. 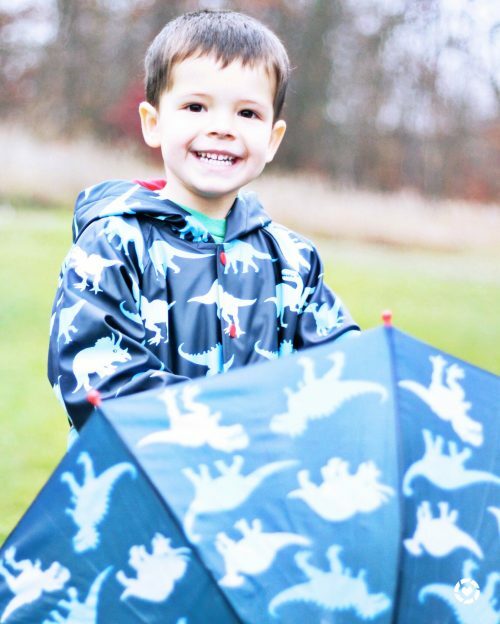 We were able to take the boys out for a walk, and we let them wear their rain jackets and boots instead of winter gear and they were in heaven. I figured I would share their coats and boots because we have been SO happy with them. The quality is wonderful and just so cute. I literally cannot handle the sight of Lincoln when he walks in his little rain boots and yellow jacket. How do toddlers make everything look SO cute!? I am pretty sure that me, and every other woman, is obsessed with the blush trend. Blush shoes, blush jackets, blush jeans, we want it all! And one of the areas where my work wardrobe is seriously lacking is blazers. I just have never thought to buy them aside from when I have had interviews. 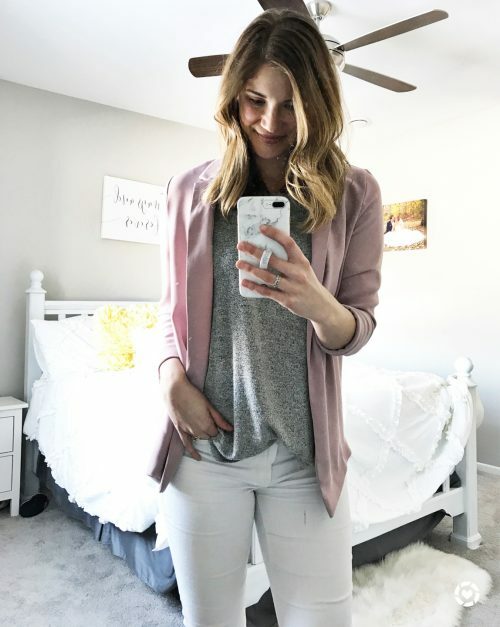 But I have already worn this new blush blazer numerous times since getting it, and I am so obsessed. It is great quality and only $36! This option is a bit more expensive, but I love the boxy boyfriend cut. And of course, if you are in the market, you can never go wrong with a classic black blazer.